A 64-year old, Ziona is married to 50 wives, a father of over 100 children, still counting, known to his people as the head of the largest joint family in the earth, with over 180 members at Perching on a hillock at Baktawng village, about 80 kilometres from the state capital. However, they don’t mind being called a religious sect, the pride of nurturing the legacy of 'Lalpa Kohhran' (god's church) founded by their 'godfather' Chana in 1966 is what that binds them. The seclusion from the predominant Presbyterian denomination came in the 1930s when the Church headed by the Welsh missionaries banned ‘khuang’ (Mizo traditional drum) as an instrument of worship. Chana and his brother Khuangtuaha rebuked the church’s ban and left the church with their followers, and till date the descendants carried the faith of their forefathers. 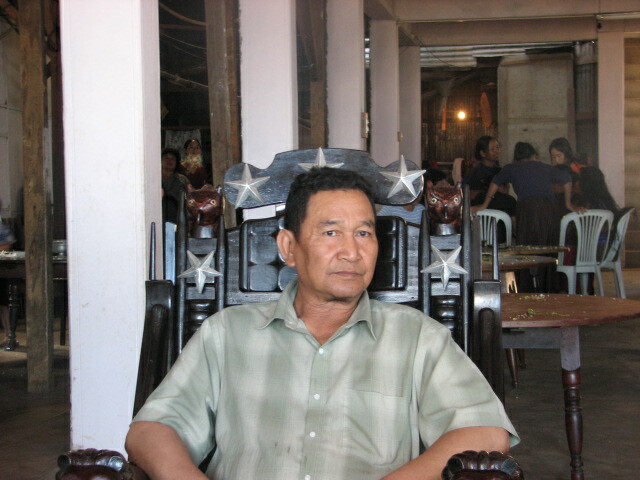 Ziona’s father Chana, who was said to have married over 20 women died in 1997; after him the legacy of 'Lalpa Kohhran' was carried on by his eldest son Ziona. Like his father Ziona is responsible to the spiritual, social and economic life of all his family members. ''We build a society that is more tolerant of personal differences in views and thoughts and where people appreciate and carry forward the value of mutual respect, love and co-operation'', Ziona said. "To expand my sect, I don’t mind even going to America to marry a woman", he added. 66-year rpt 66-year old Zathiangi, the first wife of Ziona, said "I am proud to serve my husband and my sisters (other wives of Ziona) throughout my life". "We are very happy and self-sufficient family", she added. Interestingly, the 26-year old Huntharnghaki, the latest one, who got married to Ziona this year and a mother of six months old kid said ''If a family system is laid on the founding stone of mutual and genuine love and respect for each and every member including children then the system is guaranteed to be a success, this is what we have been practicing''. According to the village people, Ziona got married to atleast 10 women during 2006 alone.Despite his busy schedule, Ziona could able to mainitain the whole family without any hardship. Nunparliana, 44, the eldest son of Ziona said ''a head count of all my daddy’s children is a tough job, the last time we counted we were about 110, some got married and settled elsewhere, some have passed away". ''Now my father has 50 wives, three of them have passed away and three have left him, all of us are happy and having a secured life here", he added. 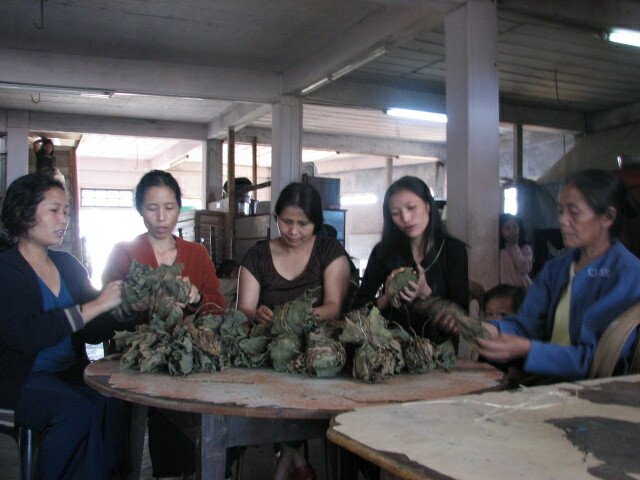 The administrative of the settlement is so complete, besides the religious aspect of the unit, the Lalpa Kohhran family had their own school (Class V to Class X), a playground they called Chhuanthar Stadium, carpentry workshops, piggery farm, poultry farm, paddy fields and a vegetable garden big enough to feed the entire family. 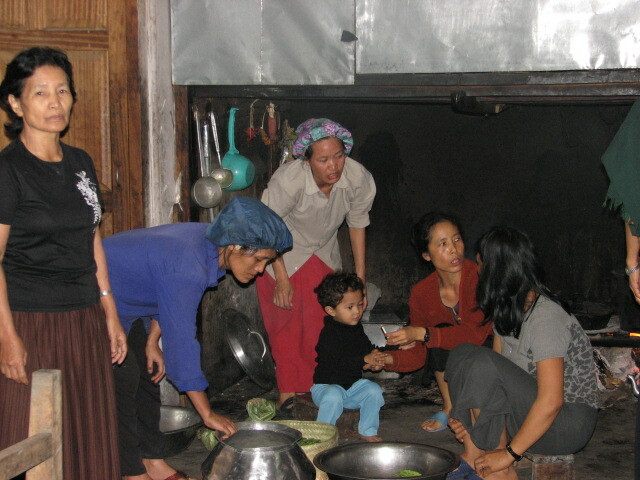 About 20 kilos of rice and atleast ten chickens were cooked daily for the whole family. "We have not received any help from the Government, even our stadium was built by the members of the church, even teachers working in our school belongs to our church, its completely a voluntary job,'' Nunparliana added. The family’s main revenue source is carpentry. ''Window frames, almirahs, perhaps anything that can be made out of wood,'' Nunparliana said adding that 60 percent of the window frames used in Aizawl was their product. ''We often received scournful comments from people who have visited us; they called us a religious sect that is bound to perish,'' a young girl who is a granddaughter of Ziona said.